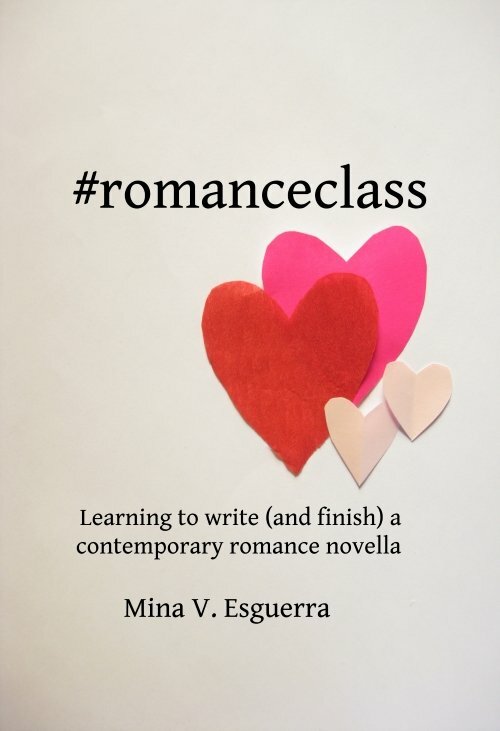 What’s next for #romanceclass: Ayala Museum workshops! As the facilitator, this format works for me. It doesn’t take up too much of my time. I had participants read their work aloud, and I think it was good for the authors to hear their fellow authors react to their work. (A giggle here, a kilig squee there.) I also feel that the direction and advice for one usually applied to more than one author in the room, and at least everyone got to learn from each other, even if they weren’t necessarily writing the same story. The museum charged a fee (P3,800) for the workshop, so the group was smaller (free online #romanceclass had 100 participants!) and I really got to know them and their work. I didn’t even realize this until I felt a bit sad at the end of the last class, haha. One new addition to #romanceclass that I thought worked well was an idea borrowed from Steamy Reads: the “alpha male” guest speaker. Kelvin Yu, bass player for the band Itchyworms (and also a friend from college), was a good sport and talked to our author participants about love, relationships, dating, and what it’s like to be in a band these days. I invited him in particular because more than one author had a “part-time rock star” character. 🙂 I loved the authors’ questions! We’re doing this again next year. Looking forward to it already!